A fantastic way to spend the afternoon cruising along the Thames, whilst you indulge in a delicious afternoon tea. Afternoon tea is a long standing tradition in England. So, what could be more fitting than enjoying a delicious afternoon tea as you take in London's famous sights by boat? This 90 minute City Cruises experience leaves from Tower Pier, before sailing up and down the Thames, where you can take in London's landmarks from a unique perspective. Whilst you cruise along the river, your tea will be served with scones, cakes, and finger sandwiches. If you fancy some additional luxury, you can also indulge in a glass of champagne alongside your meal, a great way to see London in style. Once you have finished your afternoon tea, you are free to wonder to the upper deck where you can take in London's sights from 360 degrees. Your cruise will take you past many of the attractions London is best known for, including The London Eye, Canary Wharf and the latest addition, the Shard. So, if you are after a relaxing way to see the capital in traditional English style, the City Cruises Tea Cruise is the experience for you. This Afternoon Tea Cruise runs daily, throughout the year - except for 19th- 25th Dec, and 30th-31st Dec.
All passengers on dining cruises must be physically able to walk on to the boats with an able bodied helper and unfortunately no electronic wheelchairs are permitted. Any dietary requirements must be made clear upon booking a space on a Lunch Cruise, at least 72 hours in advance of the experience date. The Afternoon Tea Cruise will depart at 15:30 (boarding from 15:15) and will return at 17:00. Participants: The Afternoon Tea Cruise on the Thames for Two is for 2 participants. The Afternoon Tea Cruise is for two participants. There is no specified dress code for this experience. This experience is not weather dependent, as dining is indoors. The hottest day of the year meant it was slightly overwarm in the restaurant part of the boat but actually even hotter on deck!! The tea was very good as expected. Sights of London as we cruised the Thames very interesting. All in all would love to do it again. 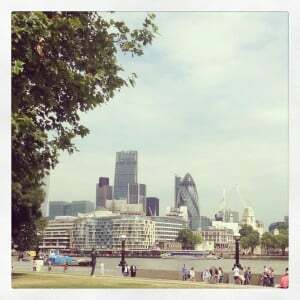 London is an amazing city, but with so much to see it can be daunting to experience everything in one day. 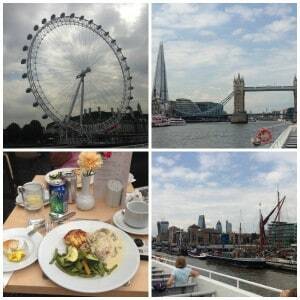 Instead of tackling those tricky Underground routes, we were given the opportunity to see London by boat, on a Thames Lunch Cruise with City Cruises UK. Arriving at London Bridge Station, we made our way to Tower Millennium Pier, the departing point of our Cruise. Once on board, we found our seats and enjoyed a drink from the on-board bar. With panoramic windows around the boat, the views of London are spectacular from the moment you step on-board. Not long after the boat had set off our lunch arrived-and we were in for a treat. The main course consisted of chicken in a mushroom sauce, dauphinoise potatoes and mixed vegetables. Whilst we ate, we sailed past many of the top London sights, including The London Eye, Big Ben, the Houses of Parliament, Canary Wharf and many more. Watching the famous sights go by as you tuck into a gourmet treat must be one of the most relaxing ways to experience London; you get to see everything without moving a muscle! For desert, we were served a delicious chocolate tart, followed by a complimentary cup of tea or coffee. 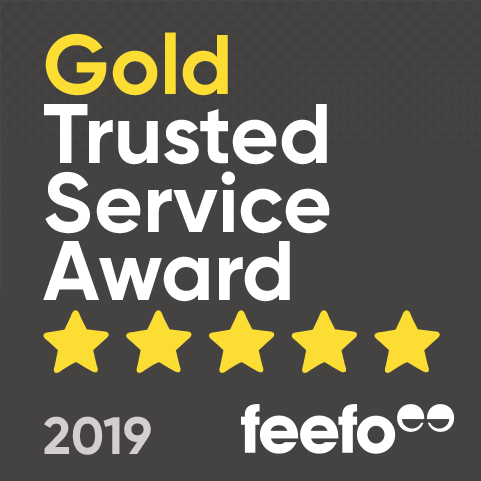 The service on-board was amazing, all the staff are so friendly and attentive, meaning you don’t have to lift a finger. After lunch, there is a chance to wonder round the boat. Be sure to take a camera; there is a fantastic open-air deck where you can take in London’s Sights, from the River Thames you really do get a unique perspective of London’s riverbank landmarks. In total the cruise lasts 1 hour and 45 minutes, the perfect length of time to enjoy your meal and explore the boat. City Cruises offer a range of cruises, from afternoon tea to hop-on-hop-off, to a sunset Jazz Cruise. These well organized tours are a fantastic way to experience the City of London without any of the fuss, just make your way to the pier, hop on-board, and enjoy! What time do you need to arrive for the Afternoon Tea Cruise on the Thames for Two? Arrival time for the Afternoon Tea Cruise on the Thames for Two is at 3pm to then board at 3:15pm.